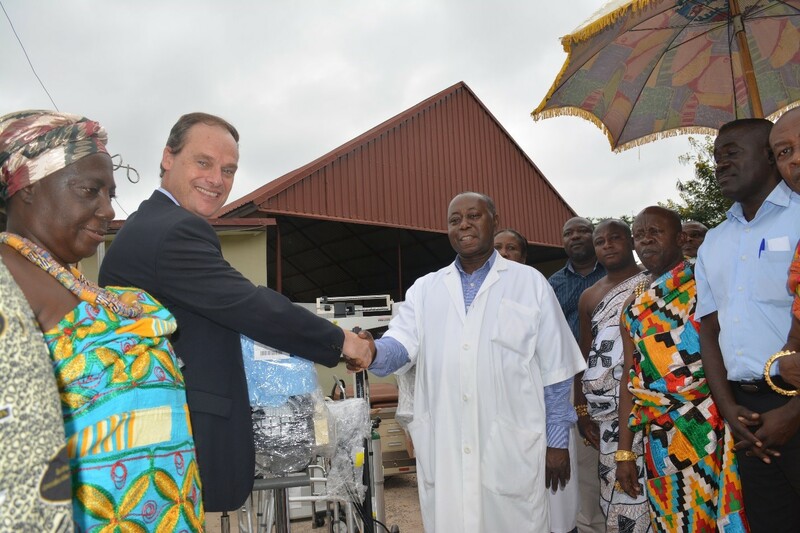 Last week, Kinross delivered medical equipment and supplies to Ghana worth US$860,000, benefitting four health centres and a hospital near Chirano. In the first of nine deliveries over the next three years, the shipment included vital equipment like hospital beds, wheelchairs, defibrillators and walkers. The program is in partnership with Project C.U.R.E, a US-based not for profit that collects medical supplies and surplus equipment from manufacturers and hospitals to distribute in developing countries. “We are committed to improving the health and well-being of our local community. I am proud to be a part of this initiative,“ said Ken Norris, Vice-President and General Manager, Chirano. 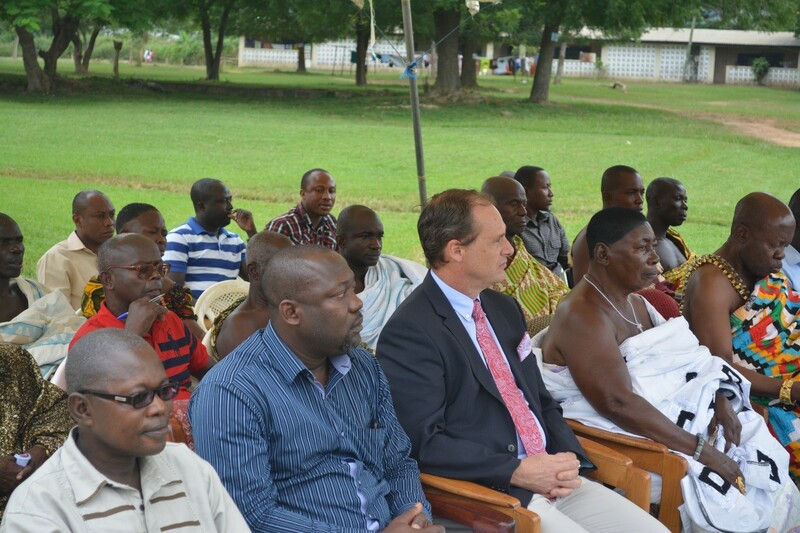 A ceremony was held with local dignitaries from the Ministry of Health and Ghana Health Services, Kinross employees and local District Chiefs to celebrate the delivery. Kinross expanded its partnership with Project C.U.R.E. 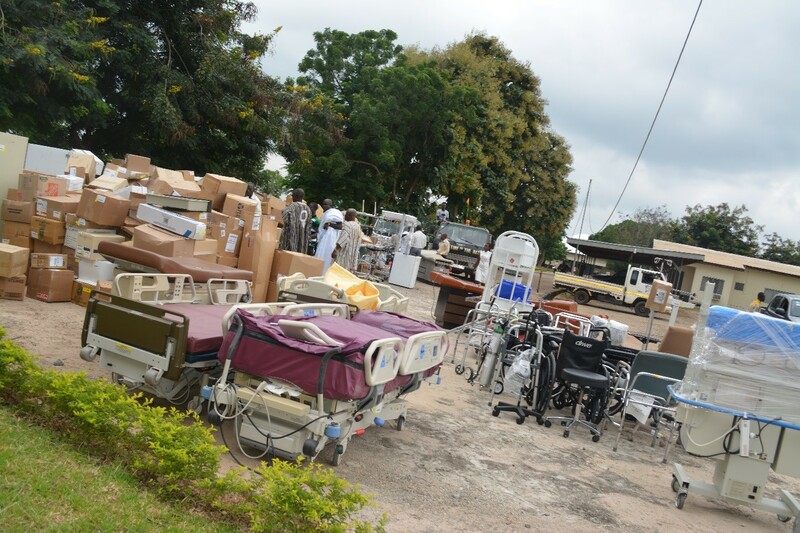 this year and will deliver an additional US$7 million worth of medical supplies to Mauritania and Ghana over the next three years. Since 2012 Kinross has partnered with Project C.U.R.E. in Mauritania and Ghana, shipping medical supplies worth over US$2.5.